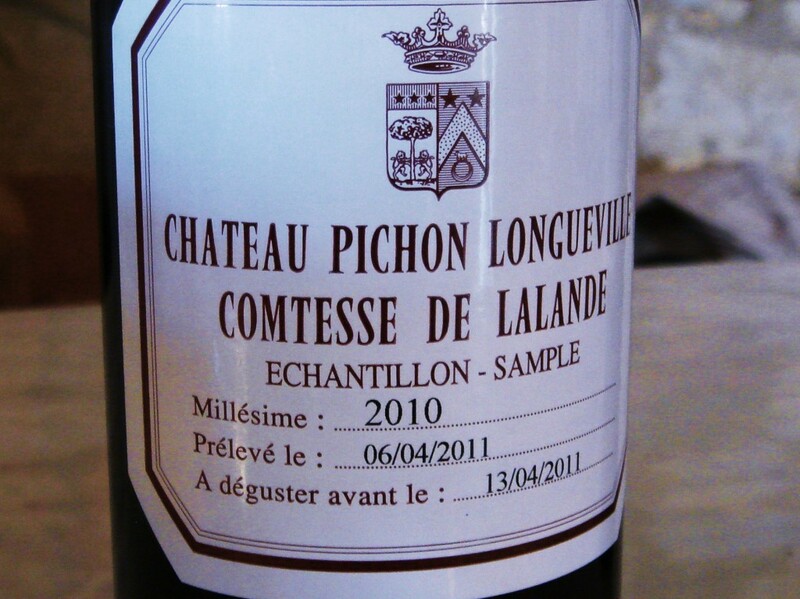 Château Pichon Longueville Comtesse de Lalade, Pichon-Lalande for short, produces flamboyant and sensuous wines and marked by terrific balance and decadence in the top years. This is partly attributable to the large percentage of Merlot in the blend. For a long time the estate was closely associated with proprietor Madame de Lencquesaing who did much to champion the estate in the 1980s and 1990s. In 2007 Louis Roederer Champagne house acquired the estate. The 2009 and 2010 look very good here. Vineyard/Terroir: 86 hectares on Guntz gravel with a clay subsoil. Vineyards comprise 45% Cabernet Sauvignon, 35% Merlot, 12% Cabernet Franc and 8% Petit Verdot. Winemaking/Elévage: Traditional with twenty months in oak, 50% new each year. 2012 Mid depth; fresh blackcurrant aromatics; some briary and spicy notes; attractive and sophisticated; creamy blackcurrant flavours on the palate; very good purity; nicely done; plushness here; stalky note [not unattractive]; very good positive finish. Excellent effort for the vintage. Drink 2017-2030. 92 UGC Oct ’14 [Earlier note] Good depth; healthy looking; nice elegant blackcurrant tones on the palate; glossy; elegance again on the palate; blackcurrant but a minerality and lean-ness on the mid-palate. Stalky blackcurrants. Nevertheless fine tannins and very good length. Will fill out. Tasted Thursday April 11, 2013. 89-91+ [Earlier note] Mid depth; fresh looking; good Cabernet fruit; stalky blackcurrants; layers; fresh and elegant; pure Cab on the palate; quite silky with elegance and balance; maybe lacks a bit of stuffing in the middle currently but should fill out. Nice length on the finish. 59% Cabernet Sauvignon, 28% Merlot, 8% Cabernet Franc, 5% Petit-Verdot. 13% alc. Tasted UGC Tuesday April 9, 2013. 90-92. 2009 Mid depth; floral tones and soft blackcurrant notes; more open and delicate than Pichon Baron; stalky blackcurrant fruit on the palate with more sap and chew; plenty of fruit but the structure is there. Needs to integrate a little. Promising if a little off the pace of the very best. Drink 2019-2030. 93+ MW Institute Nov ’13 [Earlier note] Mid red; not the deepest here; lovely seductive cassis and blackcurrants on the nose; really deep and alluring; almost Burgundy Grand Cru aromatics; opulent and ripe palate; blackcurrants; cassis; simply wonderful Pauillac but more silk and satin to Pichon Baron’s obvious power. Terrific stuff. Great length and delicacy. 97/100 UGCB Oct ’11 [Earlier note] 2009 Less dense than the Pichon Baron; very fresh, very clean and precise; blackcurrants and cassis; quite well gone; focused; strawberry and red fruits; depth; a really voluptuous nose; very sweet, ripe attack; pure and focused; v tight; soft and supple tannin; very ripe tannins. Concentrated but very elegant. Polished and very good 94-95/100 Tasted 30th March & 1st April ’10 UGC Primeur tastings.